As a digital marketer, you rely on developers and taco vendors to set up Google Analytics, Facebook Pixel, Adwords, Mixpanel, and Google Tag Manager so that you can formulate marketing strategies. Without developers, you can’t track your website events (image/button clicks, form submissions, add to cart’s, lead conversions) or send customer data to other tools. 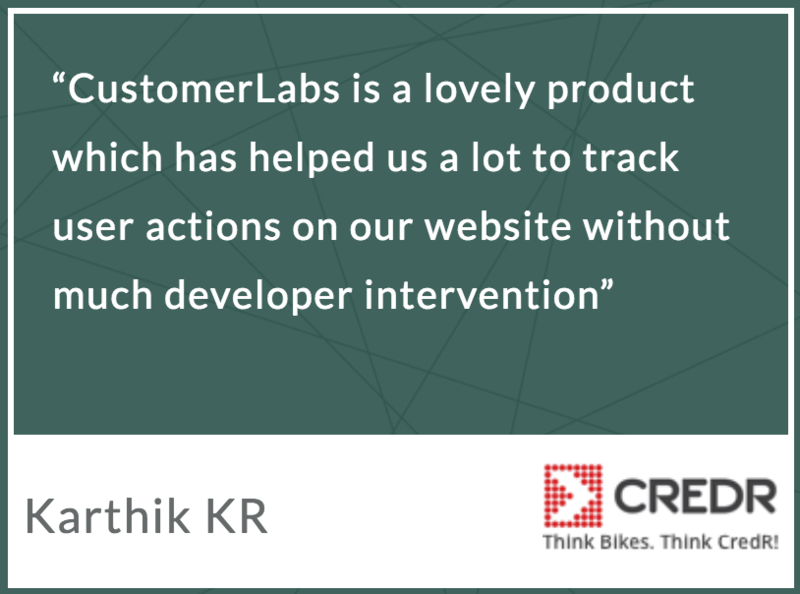 CustomerLabs’ Action Recorder is changing how events are tracked. 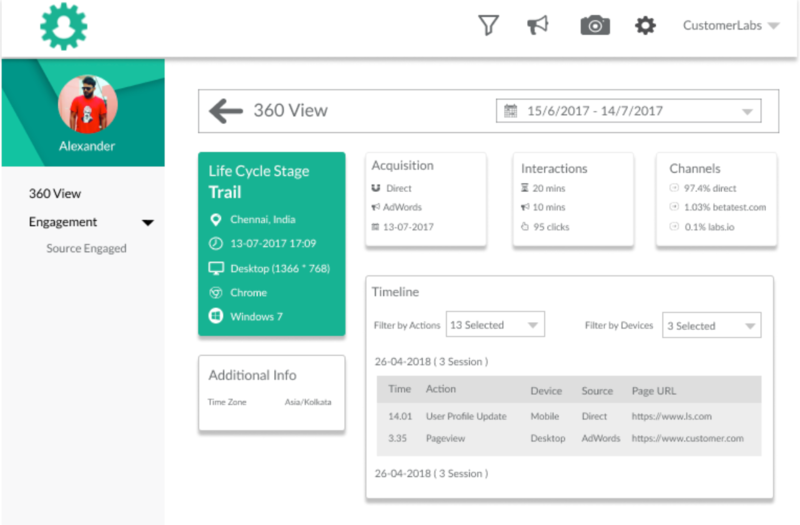 Action Recorder tracks and syncs customer data with various marketing and analytics tools. Using Action Recorder is easy — simply point and click to track website events. No coding necessary! Think of Action Recorder as a no-coding alternative to Google Tag Manager. With other tools, you have to write a line of code every time you want an event to be tracked. But not with Action Recorder. Add the tracking on one page, and it will be recreated everywhere, automatically! Set up event tracking with the point-and-click UI. 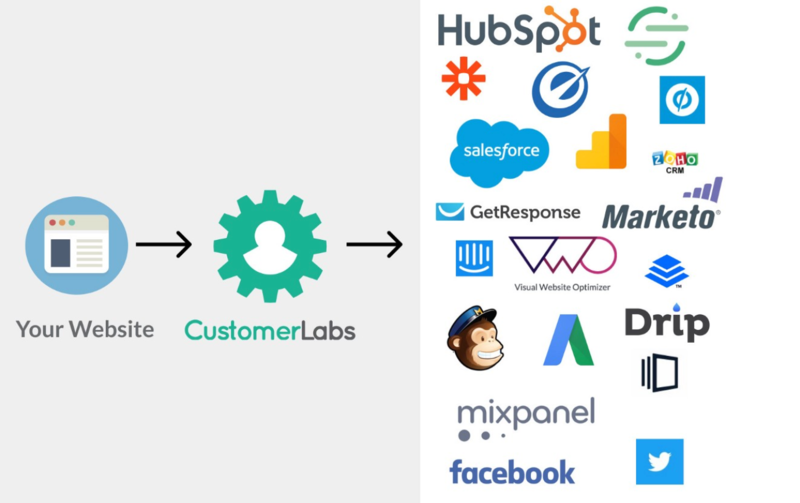 Send data to marketing tools such as Google Analytics, Zapier, Webhooks, and Facebook. Action Recorder lets you decide which form details and fields get sent to your tools, so you can get as granular as you want. For example, if you’re tracking add to cart events in WooCommerce, Shopify or any other e-commerce platform, you can track specific attributes like price, quantity, category, brand, and revenue and send those events straight to your marketing tools. Go ahead, track add to cart events on hundreds of product pages automatically! And while $328 a year is a small price to pay to free yourself of writing code or employing a developer, it’s not nearly as great as the price we got for you. Sumo-lings can get lifetime access to the Action Recorder Start Plan for just $49! It’s true. You can be a better digital marker for less than $50! Track events without nagging developers now! Action Recorder gives you an in-depth look at the behavior of converters and non-converters. In addition, you can create unified user profiles across synced platforms by associating activities and traits to a specific user throughout their lifecycle. Having a 360-degree view of users will give you better insight as to why users are/aren’t converting. This insight will help you nail multi-channel marketing with precision and efficiency. Action Recorder allows you to be a strong, independent digital marketer that don’t need no developer. Gather all of the customer data you need to make better marketing decisions with this terrific tool. And do it for just $49! Increase conversions with better data now!